There are many reasons why you should choose krill as a natural source of omega-3s, choline, proteins and the antioxidant astaxanthin. Krill might be tiny, but they comprise one of the largest biomasses on our planet. Present in all oceans, this crustacean holds a vital position in the marine food chain. Through millions of years of evolution, krill’s bioactive components and molecules have sustained nature’s diverse species. Because Antarctic krill is a superior source of omega-3s, krill might be the answer to the growing awareness of, and demand for marine omega-3s for both pets and humans. The number of pet-owning families is on the rise and pet parents are increasingly concerned about the quality of pet food. Our job is to ensure that pets have access to high quality meals that will keep our companion animals healthy. Pet parents want to ensure that their furry family members are healthy, happy, and have a long life. Ideally, these goals should be achieved through easy measures that will provide pets with the nutrients they need. Pet foods with Antarctic krill nutrients represent a high-quality and efficient response to these demands. 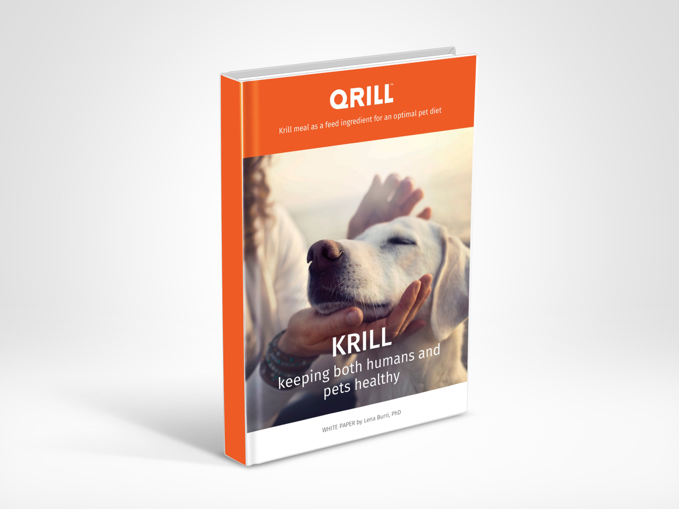 Aker BioMarine’s QRILL Pet product is a natural and unique pet food ingredient, because it is rich in health-promoting omega-3 fatty acids EPA and DHA, choline and the antioxidant astaxanthin. Omega-3s are among the most researched nutrients. They have demonstrated several health benefits for pets, including healthy organs, skin and fur. Just like humans, pets have only a limited ability to produce omega-3s. That’s why these essential fatty acids must be included in pet diets, for a long and healthy lifespan. Choline is another essential nutrient that pets require for optimal health. 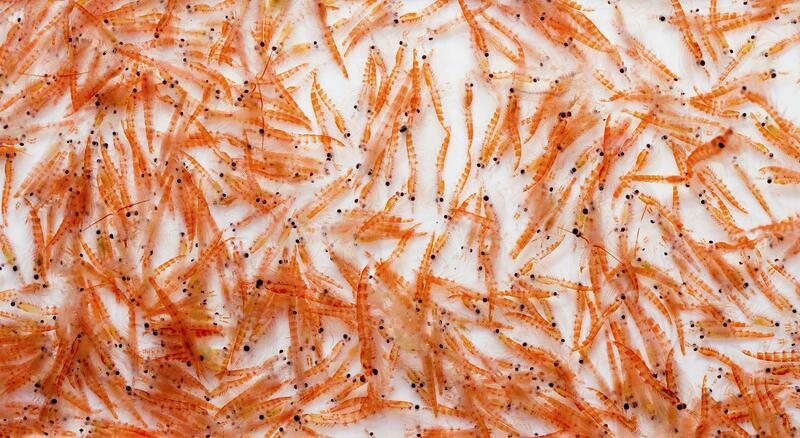 It is a natural component of Antarctic krill. Choline is essential for a healthy liver and important for brain health. Due to their lifestyle, pets are exposed to many elements that may challenge their immune system. Antioxidants are powerful compounds that are important for the ability of pets to fight off the harmful effects of free-radical oxidation and keep their cells healthy. Omega-3 fatty acids EPA and DHA can be consumed in either the triglyceride form, typically found in traditional omega-3 sources, or in the phospholipid form delivered by our Antarctic krill ingredient. 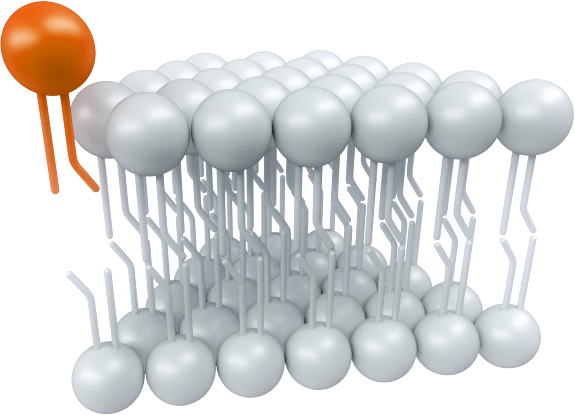 Phospholipid-bound omega-3s are more efficiently incorporated into the body’s cells, tissues, and organs. Another distinguishing benefit: omega-3 phospholipids are water soluble, making them gentle on pets’ stomachs and readily absorbed by their body. The wellbeing of pets largely reflects the decisions pet parents make for them. Heart disease can be a silent killer, as pets often show no signs of illness until it is too late. By providing the right nutrients in their food, we can help our pet companions maintain a healthy heart. Studies have shown that regular and sufficient consumption of omega-3 fatty acids EPA and DHA are essential for pets to maintain a healthy and well-functioning heart, therefore reducing the risk of cardiovascular disease. Omega-3s are anti-inflammatory nutrients that can help balance the body’s level of inflammation. Dogs, in particular, suffer from chronic inflammation, which may lead to several health problems. By adding the right amount of omega-3s to a pet’s diet, inflammation levels can be better regulated. When the body’s inflammation level is balanced, distress and disease risk is reduced. In a recent study, QRILL Pet was added to the diet of athletic Alaskan Huskies for five weeks prior to the start of the famous 1 000 mile Iditarod endurance race in 2016. Dogs that had QRILL Pet included in their diet (at 8%), exhibited less muscle damage and inflammation at the end of the race, compared to the control group of Huskies.